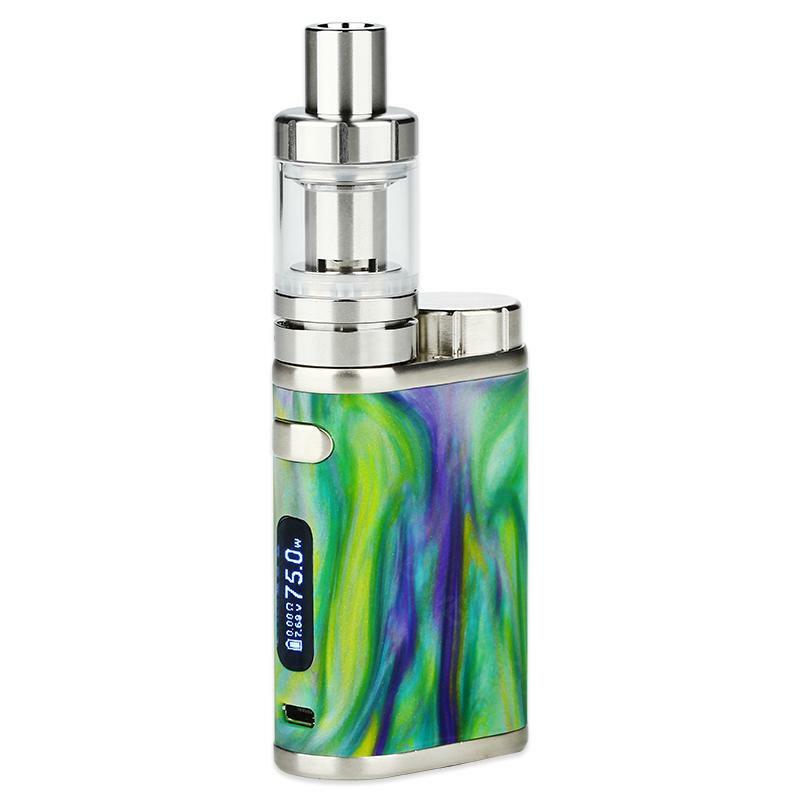 Eleaf iStick Pico RESIN Kit come with 75w pico resin box mod and 2ml capacity melo 3 mini atomizer, You will fall in love with the perfect designed to get amazing vapor clouds. Eleaf iStick Pico Resin 75W starter kit is beautifully fashioned vape MOD kit, it features Unique Resin Design, Unique Coloration, Firmware Upgradeable and Adjustable Airflow Control which can provide you a great vaping experience. The innovative process and compact size make it comfortable to hold and carry. Melo III sub-ohm vape tank filled with the greatest ease due to its top fill design. With top e-liquid filling design, hidden airflow control and detachable structure, the MELO III Mini fits the iStick Pico perfectly. • You can buy Eleaf EC coils 0.3ohm/0.5ohm, 0.5ohm Ti and ECR coil. Really easy to use, is a really good starter kit for someone entering in the world of vaping! Love this istick pico kit. Such a beauty! I don't have one single issue with it at all. And the price point is good, I am gonna order another one for my brother. I have a istick pico mod already and love that one so much. This resin version looks so special! Pico kit is definitely what I am looking for. Unique design, nice features, good performance. And firmware upgradeable, awesome!